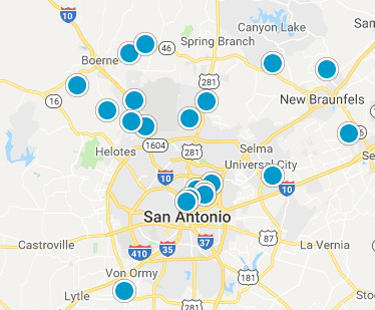 Northside school district serves a large portion of northwest San Antonio. Northside ISD's enrollment is approaching 100,000 students. Northside ISD is one of the largest and fastest growing districts in Texas. Each high school is named for a former or current United States Supreme Court justice. Northside Mission: "The Northside Independent School District is committed to the belief that children come first. The mission of the district is to encourage each student to strive for personal excellence and to ensure all students learn to function, contribute, and compete as responsible individuals in an ever-changing world."